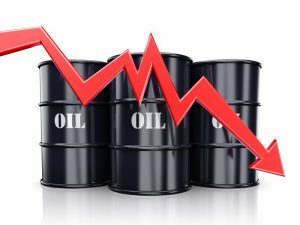 Oil prices dropped sharply on Friday after energy managers said over two dozen oil producer nations could begin to start easing limits on production that were established in 2017 to drain the glut of global crude. Alexander Novak the Energy Minister of Russia met with his counterpart from Saudi Arabia Khalid Al-Falih to discuss the production cut deal that is aimed at keeping over 1.8 million barrels per day of the market dating back to January of 2017. They are now considering gradually exiting the deal to compensate for dropping production in Venezuela and the anticipated disruption in exports from Iran which is facing renewed sanctions by the U.S.
Novak said the time was coming when there should be consideration on assessing ways in which to exit this deal and gradually ease the quotas on cuts in output. Prices of U.S. West Texas intermediate fell below $68 per barrel, as the price slipped further from its peak earlier in the week of $72.83, which was its highest since November of 2014. Brent Crude fell 3.1% to end the session at $76.37, as the international benchmark for prices of oil week hit a high of more than three years at $80.50. Brent has fallen close to 3% during the week, while U.S. crude has fallen nearly 5% on the week. The ministers have been considering an increase in supply of up to 1 million barrels daily to cool off the market, sources have said. Al-Falih is concerned in particular about the impact that oil prices higher than $80 per barrel would have on consumer nations such as India and China. This move to ease the caps on production follows the news that Saudi Arabia was targeting $80 per barrel to support initiatives in the country. Those reports helped to increase prices of crude within the last couple of months. However, it now appears, said one analyst that prices had accelerated too far and too fast. They reached the target price and it seems now as if they are pulling on the levers to keep prices at $80, said the analyst. The price of oil hit new multi-year highs following an announcement by U.S. President Donald Trump that the U.S. was withdrawing from the nuclear deal of 2013 with Iran and would be restoring sanctions on the Islamic Republic, which is the third largest OPEC producer.